Pearl's Choice is Canada's most comprehensive senior living resource to support individuals and their families. Pearl’s Choice came to us for help with their web application redesign and relaunch. The start-up had outgrown their off-the-shelf CMS and needed a more robust web application that could scale with their growth. Without an internal development team they also needed a website that non-technical staff could update. Along with the new website Pearl’s Choice wanted to make a big impact with the website relaunch and asked for help with marketing. 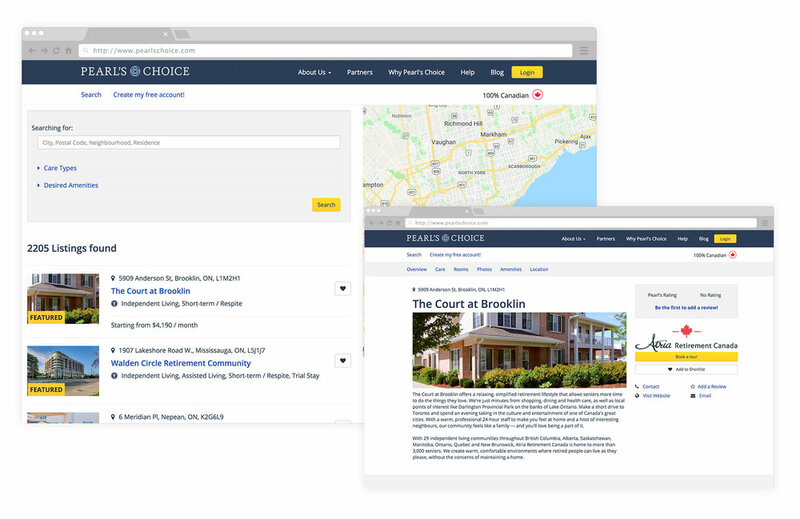 DesignedUX partnered with Pearl’s Choice to design and develop a new web application that included advanced search with filters and a google maps integration to display all of the retirement homes in Canada. The web app also includes a diagnostic tool, user accounts, shortlists, tour bookings, reviews and ratings and a custom blog. 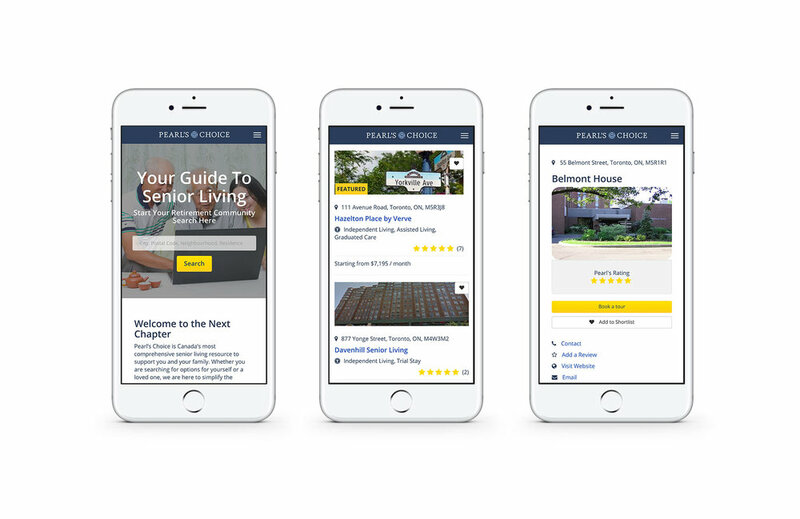 Admin tools were built to support advertising and allow home operators to update their profiles including descriptions, photo galleries, amenities list, pricing and a map of their location. 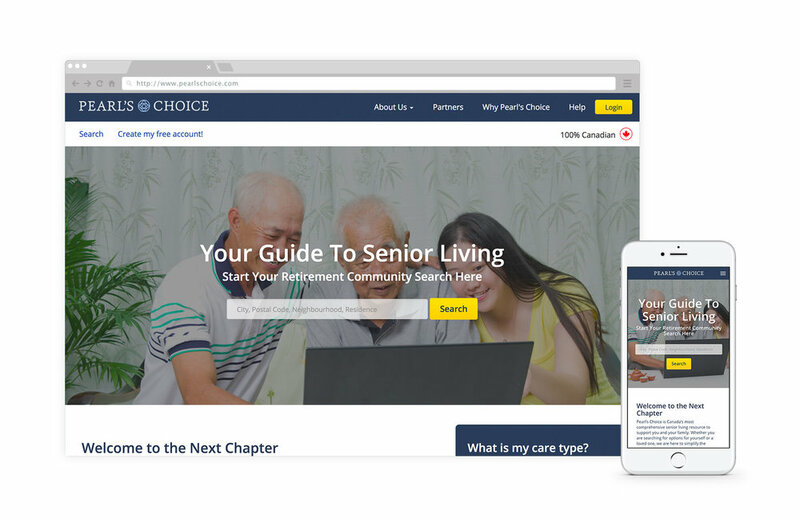 The user experience challenge was to design a website that was easy to use for seniors. We also designed the website to work effectively on both desktop and mobile devices. Finally, we implemented a comprehensive SEO strategy to lower the cost of user acquistion by increasing organic search results. We launched on time and on budget with a new web application, an effective marketing campaign and a happy client.